You are here: AABC Plumbing >> Is It Time to Call the Pros? There is an expectation in most homes that plumbing systems will work correctly. When an individual turns on a hot water knob, they expect hot water to begin flowing. The same is the case for water flowing down drains. It is crucial to fixing minor problems before they create emergency situations. Minor issues are usually precursors to significant issues that will require substantial fixes. Our talented team of plumbers can help you adequately assess problems in your plumbing system, regardless of what the problem is. Is your plumbing system making odd noises? All plumbing tools make sounds, but not all sounds are usual. Usually, sounds are the first indicator that there is a more massive problem forming. Do you notice a foul odor coming from your sinks or drains? The smell is unpleasant to the senses, but if the odor is caused by gas leaks than the problem can be harmful to one’s health. Does your sink, shower, or tub, back up with dirty water? Washing dishes in a pan that will not drain is difficult and unsanitary. Water that sits in bathtubs and showers can attract pests and can cause mold and mildew to grow. 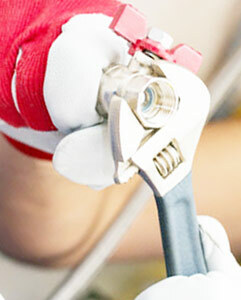 Regardless of your problem, our talented team can help you fix your entire plumbing system. Give us a call and avoid calling an emergency plumber NYC.